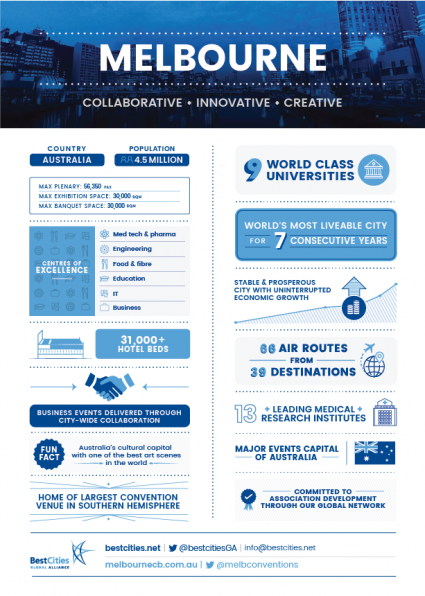 Melbourne, voted the World’s Most Liveable City for six consecutive years, is home to some of the world’s most innovative minds, pushing the boundaries of science, technology and art to create ideas that change our world. 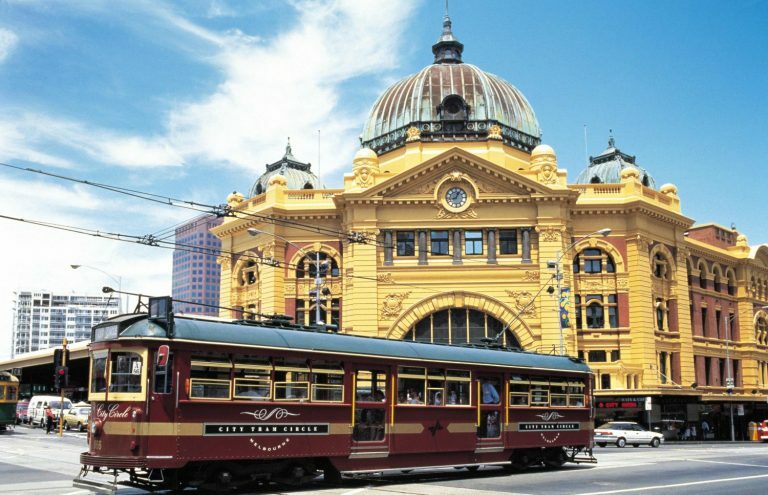 Set on the shores of picturesque Port Phillip Bay, the southern-most city of mainland Australia is rich in aesthetics, with its beauty enhanced by the meandering Yarra River, immaculate parks and gardens, public art, classical buildings and innovative design. It is truly a city of endless potential, where big thinking and great ideas can reach their full potential. 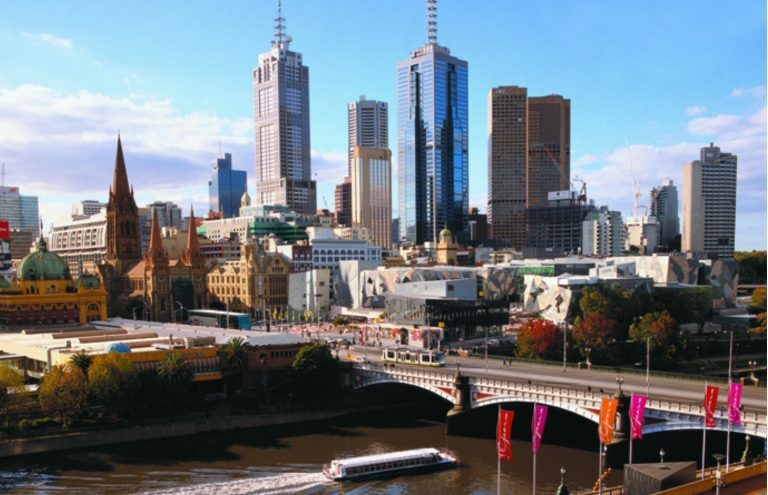 With its vibrant, multicultural population, temperate climate and outstanding quality of life, Melbourne is an ideal destination for conference organisers and delegates alike. The city is compact, convenient and easy to navigate with everything on a delegate’s doorstep, and was recently voted ‘Australasia’s Leading Meetings and Conference Destination’ in the 2016 World Travel Awards. 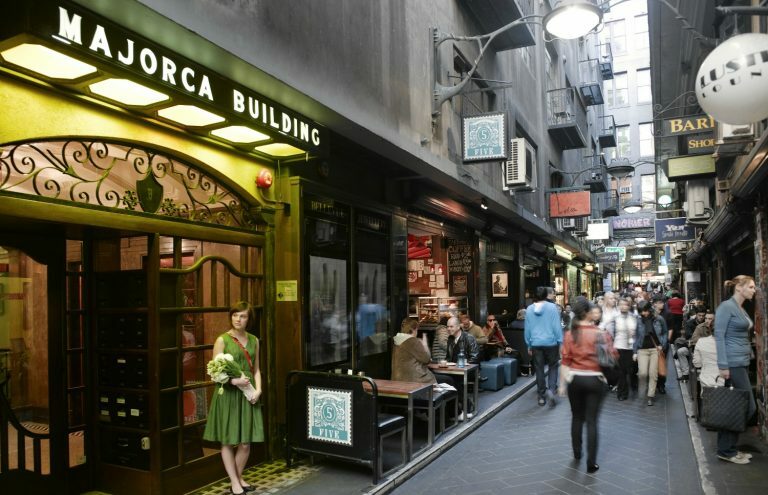 The city is also home to historical and modern architecture, hidden laneways, beautiful green spaces, a wealth of attractions, and a sophisticated food and wine scene, which makes Melbourne a haven for exploration. Visitors need only drive for little more than an hour in almost any direction to discover a myriad of experiences from natural springs to world class wineries. 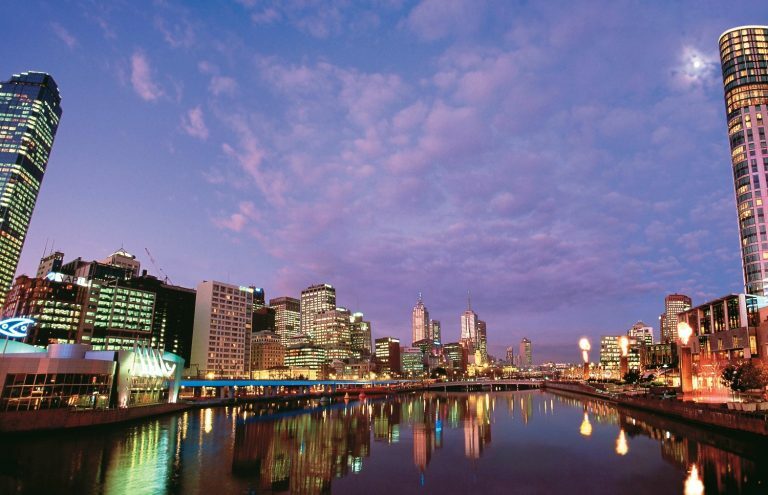 Melbourne is an exciting, energetic city with extraordinary surprises to be discovered around every corner. Click here to download images of Mebourne.